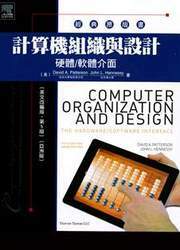  An introduction to the “TH-2 High Performance Computing System” (as a demonstration of cluster computing system) to replace Appendix B on digital logic, and a new section on “ Networks-on-Chip ” as Appendix F. Both reflect the latest progress in computer technology and can serve as good reference for readers.  Abridgment of some sections of Chapter 2 to better suit the cur rent curriculums applied in Asian classrooms. With these adjustments listed above, the Asian Edition is enhanced with local features while keeping the main structure and knowledge framework of the original version. Special thanks go to Prof. Zhiying Wang, Prof. Chung-Ping Chung, Associate Prof. Li Shen and Dr. Sheng Ma, for their contributions to the development of this Asian Edition.